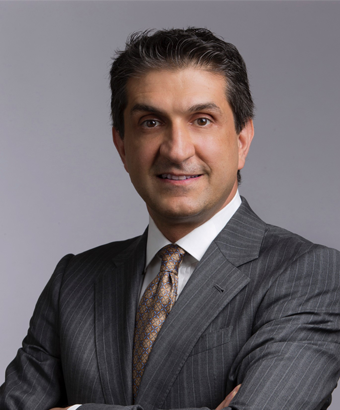 Dr. Hamid Shafie has been the director of postdoctoral implant training at Washington Hospital Center Department of Oral and Maxillofacial Surgery since 1998. He is also the President and Chief Knowledge Officer of the American Institute of Implant Dentistry, a not for profit teaching institution in Washington, DC. His areas of interest in implant dentistry are immediate load, tissue engineering, and advanced full mouth reconstruction. He is recognized by peers for his insight, critical thinking, and innovative approaches to implant education for hospital based oral and maxillofacial surgery residency programs. Dr. Shafie is one of the leading advocates of cross industry adaptation. He pioneered the implementation of operational excellence and lean methodology in oral surgery and implant practice in 2014. He constantly researches the most successful features of industries outside of dental and oral surgery in order to use them as inspiration to enhance the patient experience, improve efficiency, and optimize the services provided by oral surgeons. His most recent efforts in cross industry adaptation have been focused on transforming analog oral surgery practices into fully digital operations. Over the past 20 years, Dr. Shafie has actively disseminated the methodologies used at Washington Hospital Center nationally and internationally, lecturing in 35 states and 30 countries. He is also the author of two text books on the subject of implant dentistry published by Wiley-Blackwell. Currently, he is sitting on the Board of Visitors as an advisor to the dean of the College of Dentistry of the University of Maryland.